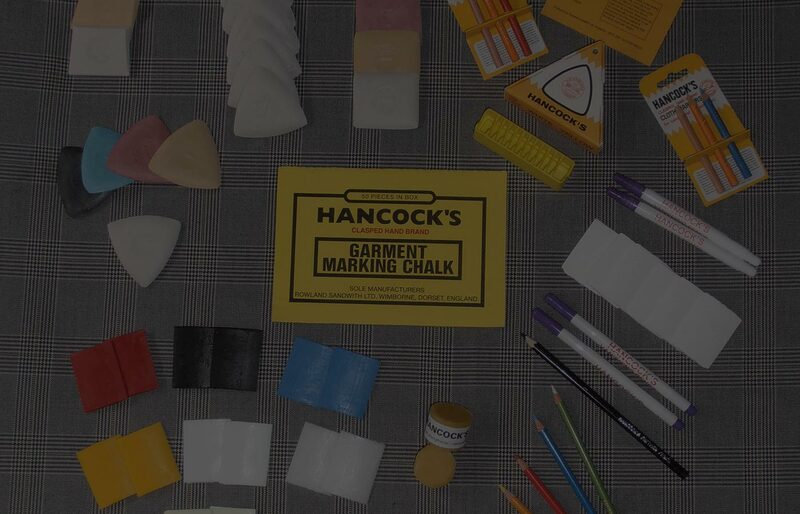 A quality range of fabric markers Manufactured in England. For the tailor/dress maker and garment manufacturing industries. Suitable for marking virtually all textiles unless of a delicate nature. For use on Worsted and Wool materials, removed by the application of a warm iron. 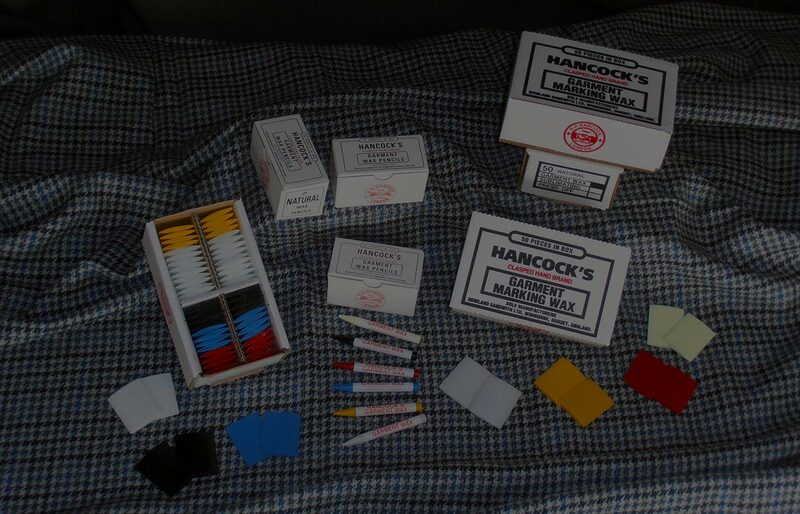 A range of vanishing, sublimating and press-off markers. 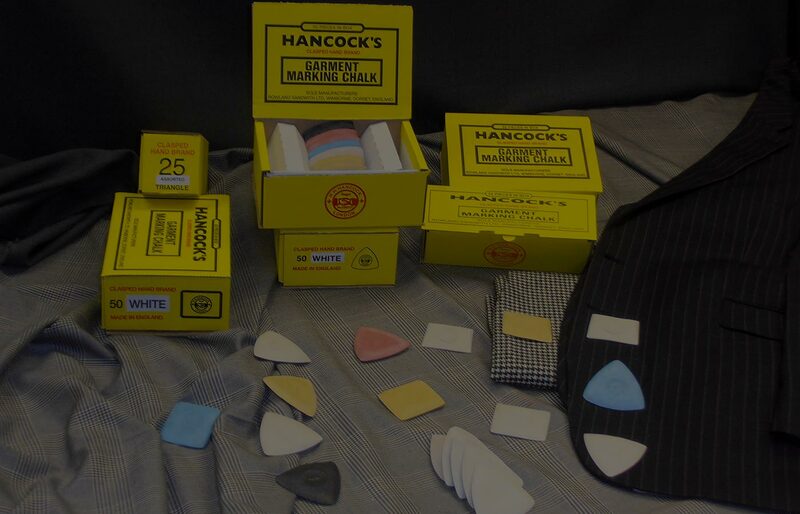 HANCOCK’S produce a range of fabric markers to suit the tailor/dress maker and garment manufacturing industries. We are able to provide advice on the most suitable marker for most materials or substances. We also produce a range of animal and industrial markers for both private customers as well as commercial operations. Suitable for marking virtually all textiles, available in a variety of shapes and colours. A range of specialist markers including vanishing, sublimating and press off markers. For use on Worsted and wool materials and is usually removed from the material by a warm iron. We manufacture and supply a variety of accessories to prolong the life of your equipment.